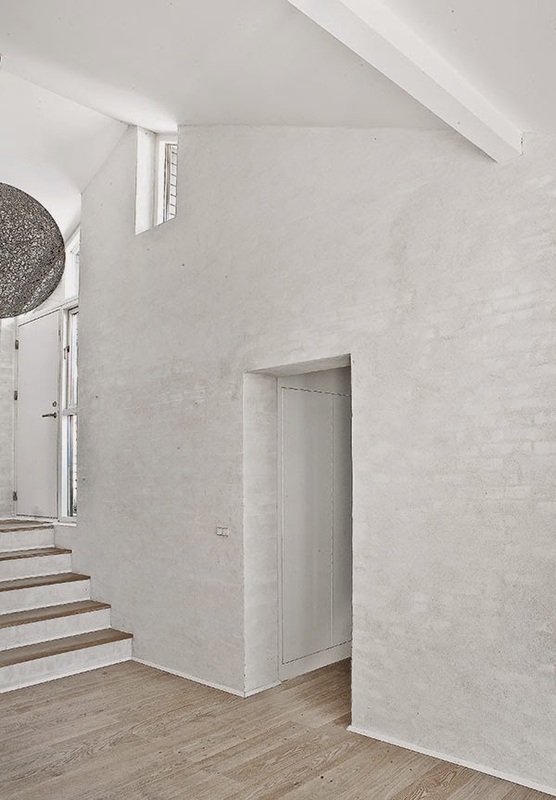 NORM Architects designed Fredensborg House in Copenhagen, Denmark, on five small plateaus connected by steps, reflecting the shape of its surrounding terrain. 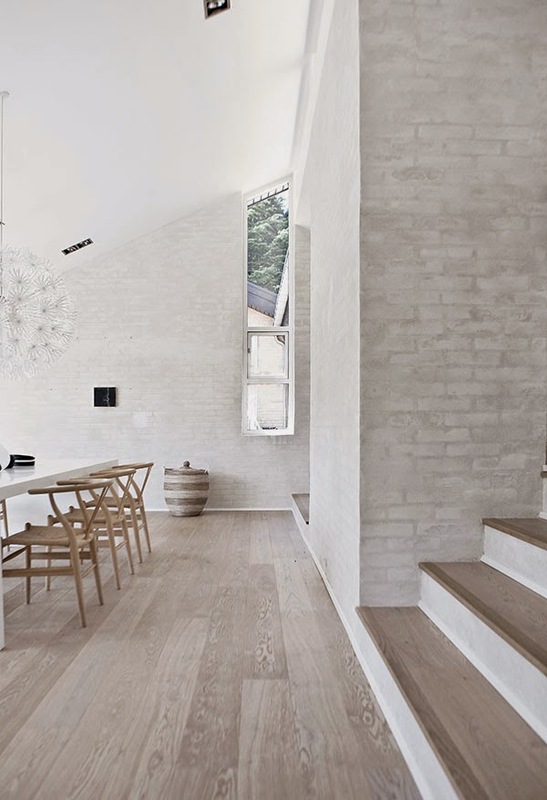 The house aesthetic is derived from inspirations brought about by the labyrinthine mountain village architecture and the works of modernist Danish architecture Jørn Utzon. Aiming to provide a feeling of serenity and calmness, the use of different contrasting materials was restricted to a minimum. 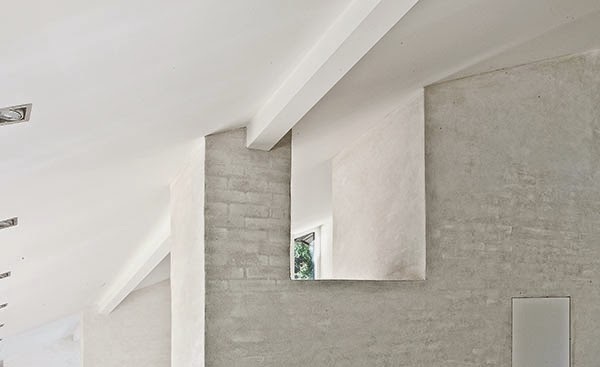 On a sloping property north of Copenhagen, the “Fredensborg House” is built on five small plateaus connected by steps, reflecting the shape of its surrounding terrain. 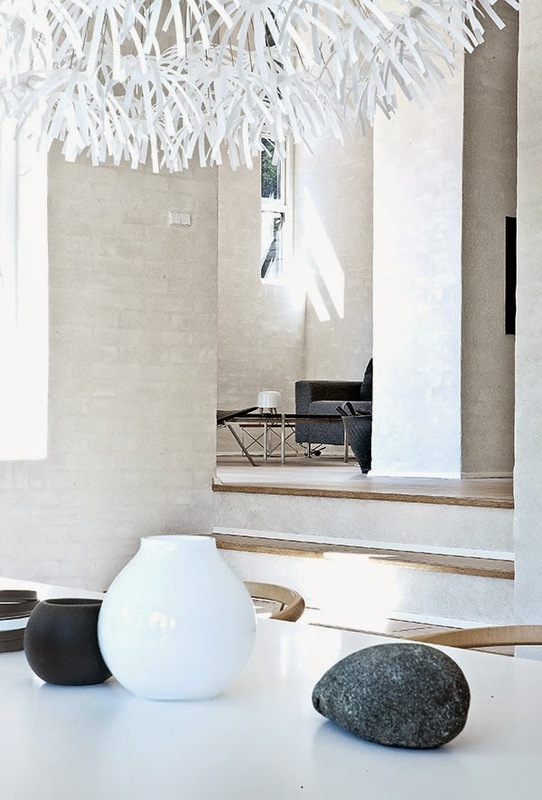 The house aesthetic is derived from inspirations brought about by the labyrinthine mountain village architecture, those that you may find familiar in Southern Europe, the architecture of Chinese temples, and in the works of modernist Danish architecture Jørn Utzon. A wide central staircase characterizes the architectural interior of the house, highlighted by the ceilings varying heights and the vast glass facades looking through the ethereal garden. 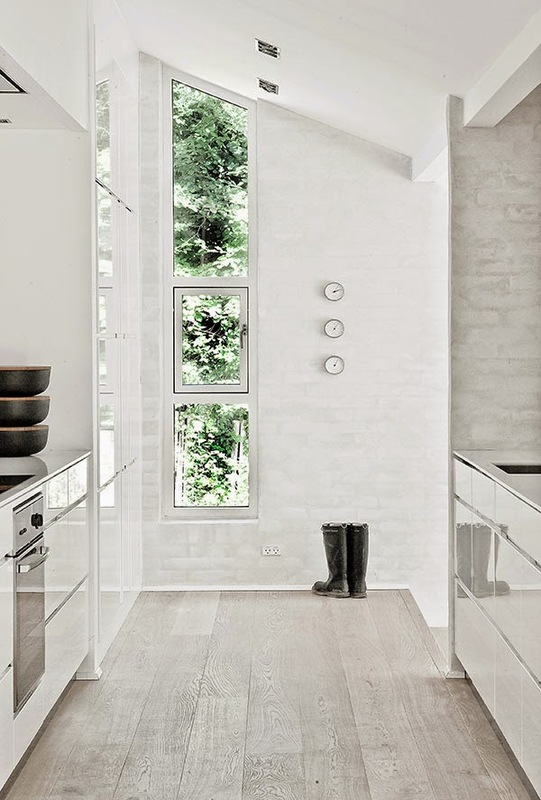 The vertical narrow windows faced east and west to optimize viewing points, as well as to serve as a canvas for natural light to successfully illuminate space within the house. The property does not reveal its large size at first glance. Not until you walk along the east side of the house through a small path leading uphill towards the main entrance, will several new volumes be introduced. You will also find a breathtaking visual of an 18-meter stretch from the east to west axis of the house, through one of the vertical windows looking into the kitchen area. As you enter the central hall of the house a grand staircase welcomes you to the highest point of the property, consisting of three different plateaus connecting the master bedroom, the living area, kitchen and dining area that connects serenely in one continuous space. 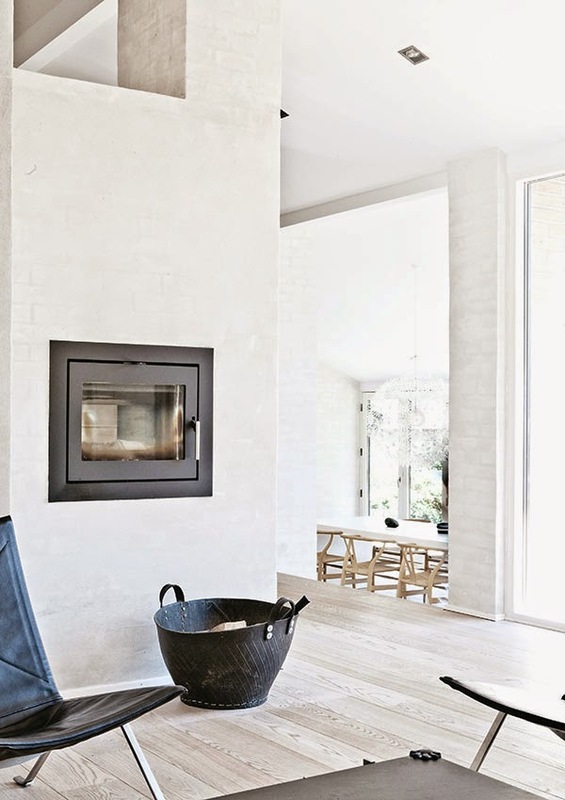 The different areas of the house are divided by volumes of brick that contains the kitchen and fireplace which also serves as room dividers. 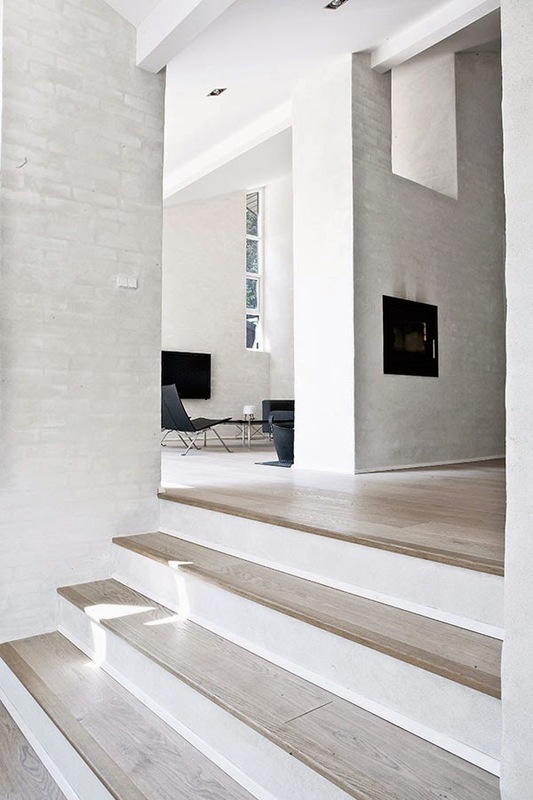 The spacious staircase is greatly inspired by the main pedestrian street in small villages and serves as a natural gathering place in the house and attracts activity in its space. 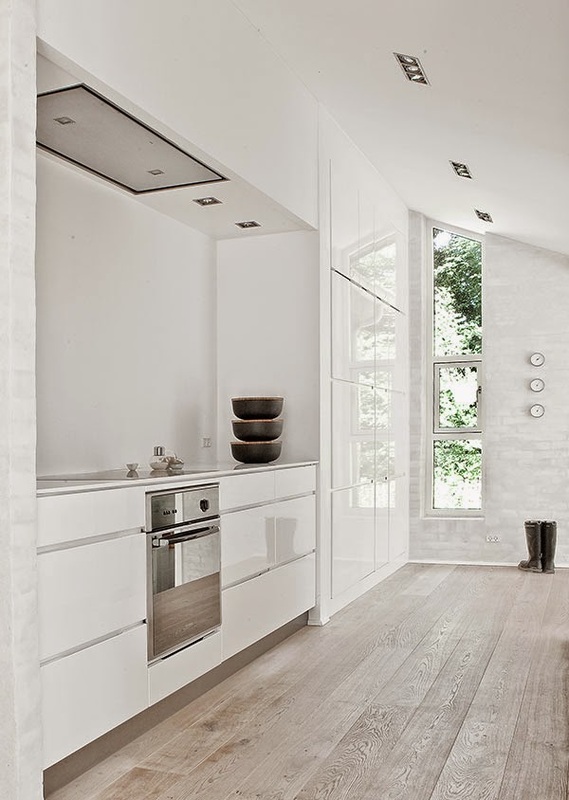 The lowest plateau of the house contains the dining area and a small washroom. 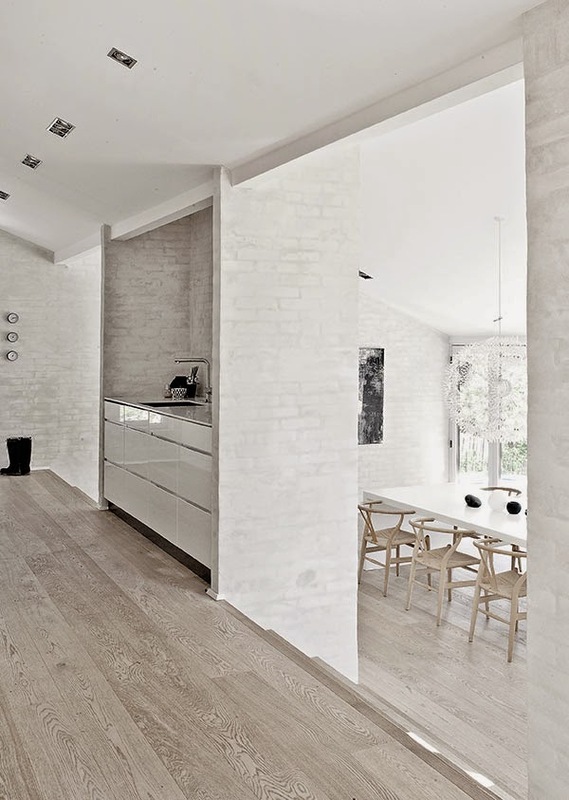 It is divided from the kitchen area by a noticeably grey brick wall with broad steps on each side, dividing the room into three sections. You will find a long section of small windows just under the rooftop allowing more light to come in from the west part bringing in a faint yellow colored atmosphere in the afternoons whilst giving early evenings a warm ambiance. Another viewpoint of the house is the entire façade of the garden, which is made of glass. 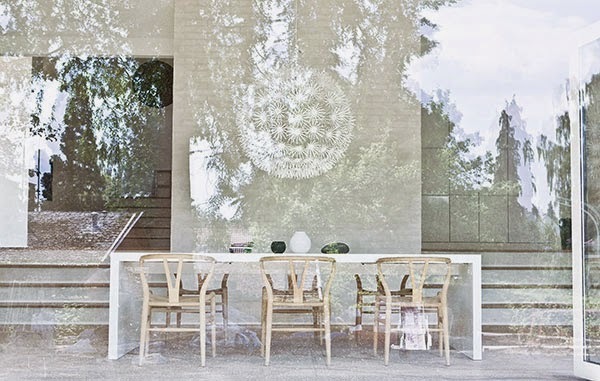 There is one wide central window corresponding the exact length of the huge custom made Corian dining table, flanked by double doors facing the garden on each side. The grass from the outside is at precise measure right by the border of each window frame, this brings in the feel of nature visually. 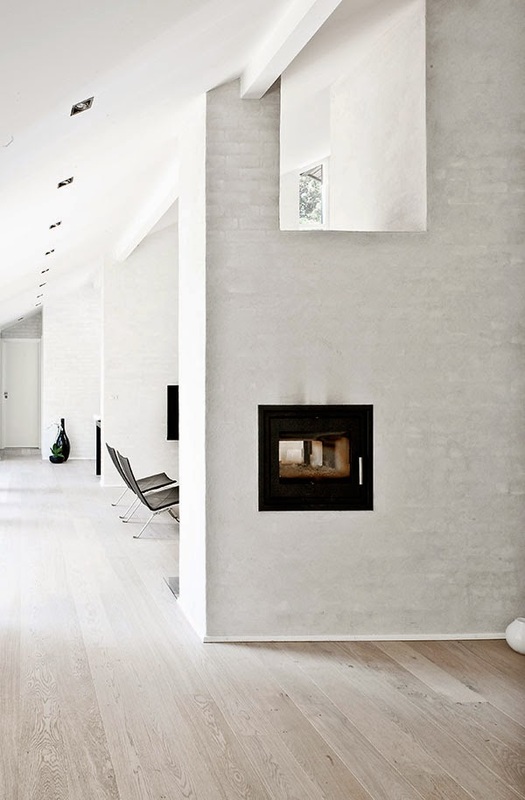 Towards west is a high slender window emphasizing height of the ceiling. This window provides a clear view to the terrace located in the center of the house peeking all the way through the living area which is found on the other side of the terrace. 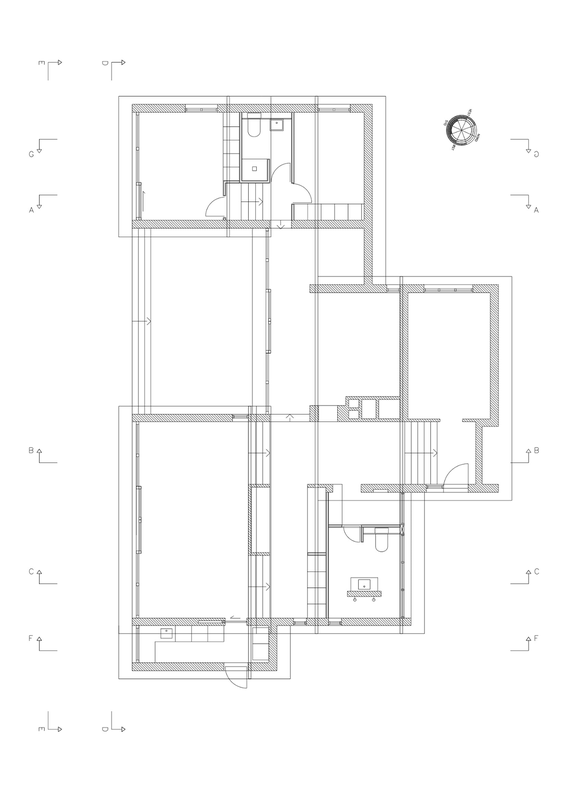 The House is structured around 2 axes; the central staircase going from north to south following the form of the sloping terrain, and the axes on the middle plateau from the kitchen to the east to the living room towards the west. 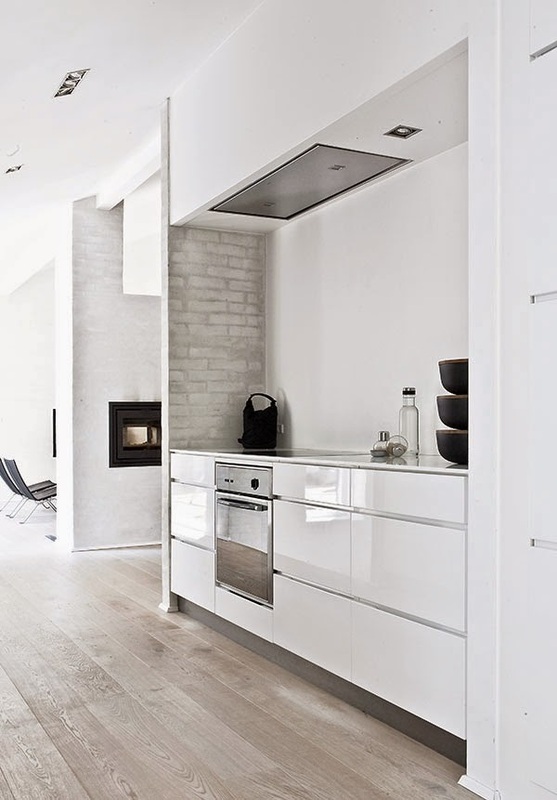 The kitchen is a part of the open “raumplan” – but is still partly hidden in two niches allowing the occupants of the house to be able to work on preparing food without the clutter being exposed to their guests. This structure has also left room to build in an oven, ventilation, fridge and storage as an integrated part of the architecture. The centered kitchen is created to make the workflow a lot easier when preparing food and serving guests. On the west end of the property, the children’s section of the house corresponds strategically to the kitchen building located at the southeast. 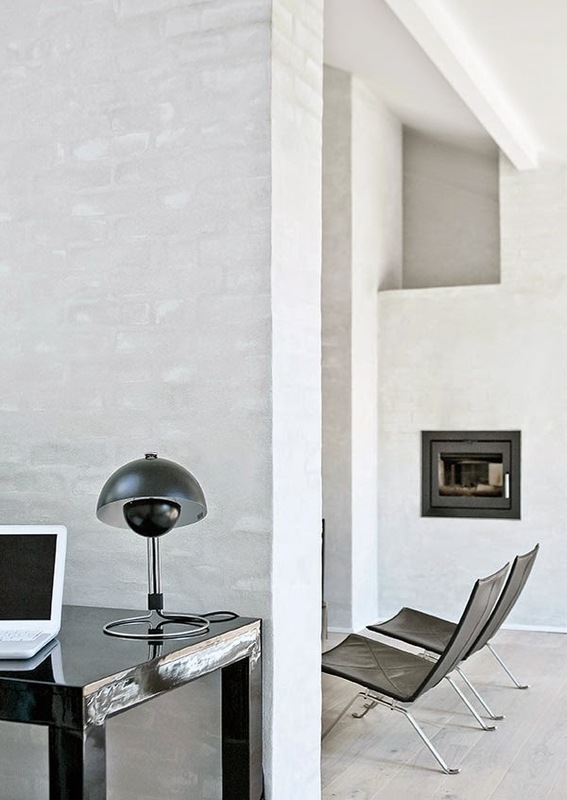 This creates a natural terrace between the two areas. 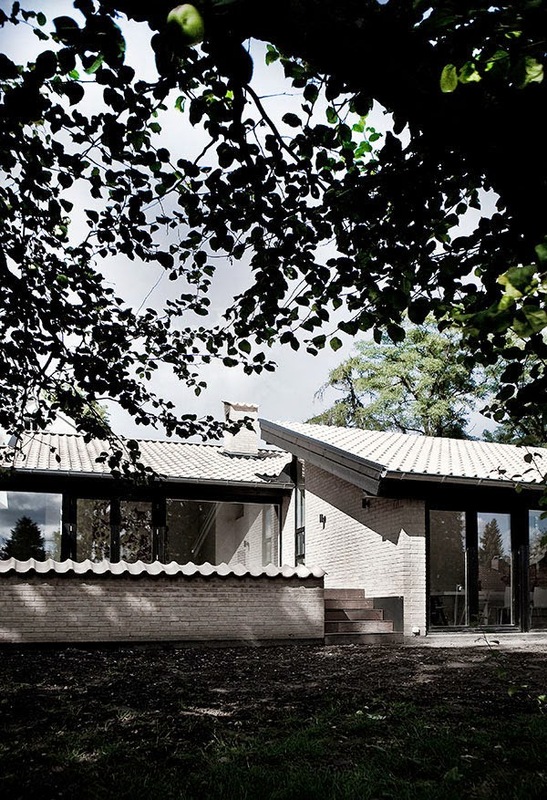 The roof of the children’s section follows the middle part of the house and the terrain and ends at the same level as the entrance which results in two very different children’s rooms One room lies low on the slopping lot facing the garden, the other room situated higher mainly lit by the poetic northern light. When walking from the kitchen area across the central staircase, you get a glimpse of the living area through the fireplace, which can be seen through the staircase, the kitchen, the dining area, and the living area. The living area is like a niche on the east-west axis, cut into the terrain, resulting in a dramatic ceiling height to one side where the sofa is and with large glass panels to the other side towards the wooden terrace emphasizing the illusion of space. The sense of transparency and the connection between interior and exterior is enhanced by the fact that the level of the terrace floor is the same as the floor of the interior. Between the living area and the children’s sections is yet another small niche cut into the terrain containing a small office space. The master bedroom is situated just opposite the entrance and has a triple section window in a vertical rhythm matching the style of all the windows facing east and west. The bedroom’s viewis a small private courtyard that is at the top corner of the property. The main bathroom is also situated in connection to the central staircase. You enter the bathroom through a small narrow passage that comes complete with built-in storage. The bathroom is in sharp contrast with the bright exterior of the rest of the house and covered in black porcelain tiles – giving the room an intimate feeling like that of a luxurious spa. The room is divided by a single wall which contains and hides all the installations, it follows the theme from the rest of the house with free standing room dividers instead of separating walls. 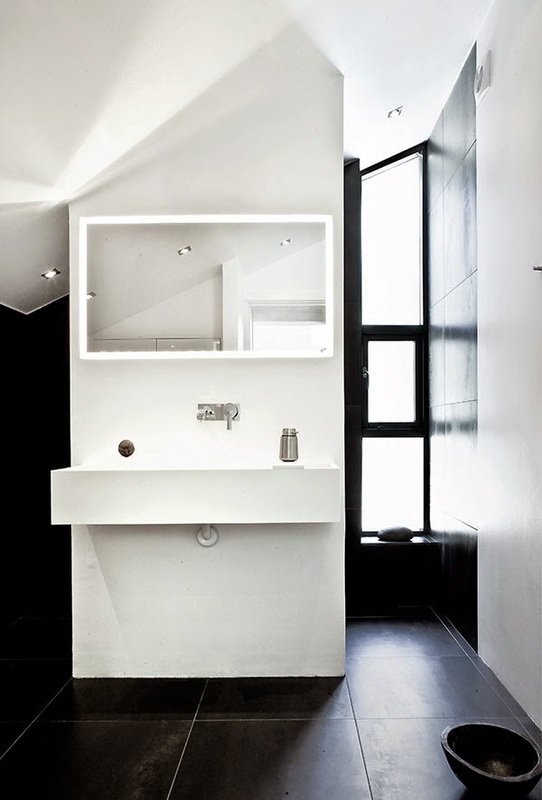 On the one side is the sink in Corian and a built-in mirror that is backlit imitatingmake-up mirrors from theaters, providing a soft light reflection. Behind the dividing wall you find the privately installed showers. 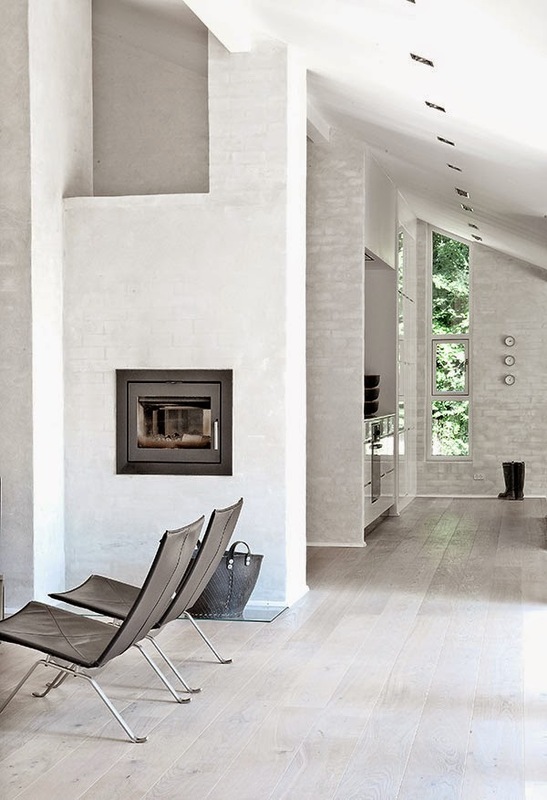 One of the main goals for this house is to provide a feeling of serenity and calm. To achieve this goal, the use of different contrasting materials was minimized. And to suit the elements of the buildings surroundings and staying true to its natural form, a lot of local materials were used. 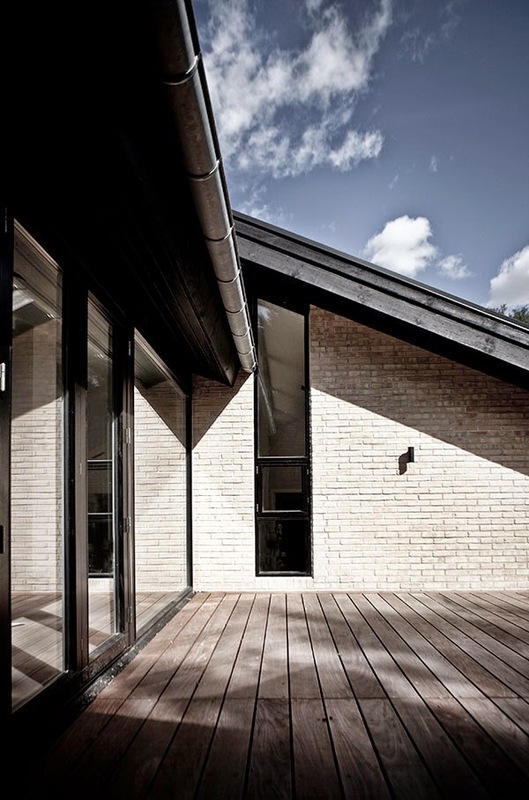 The exterior consists of yellow tiles, yellow brick and black painted wood. 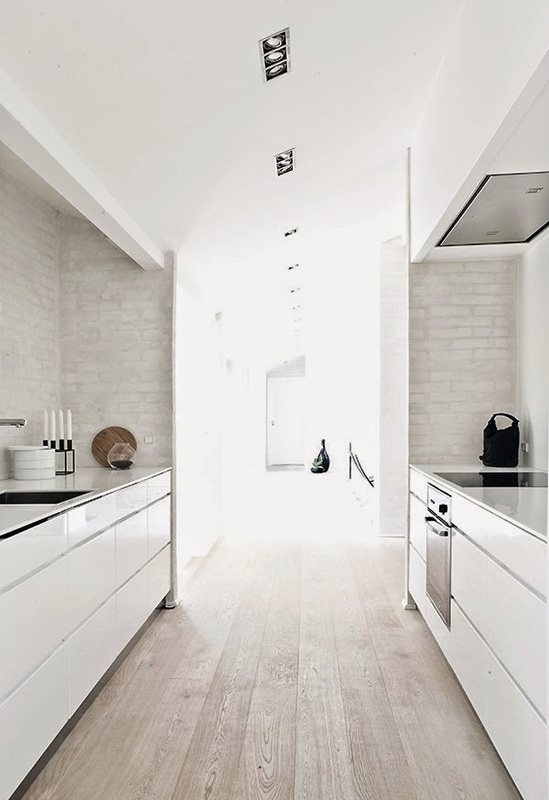 The interior is made up of raw grey walls, brushed natural oak floors and white ceilings. 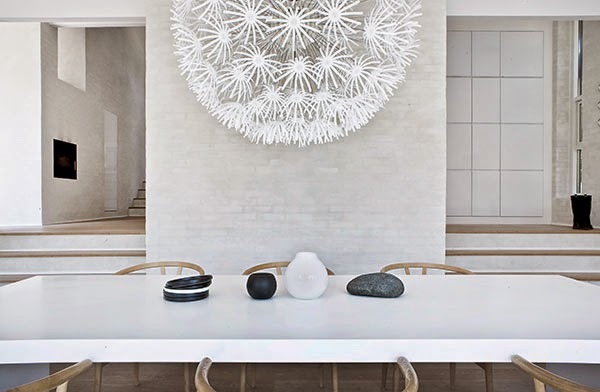 The consistent use of same materials throughout the house is what gives this labyrinthine structure a cohesive look and feel as being one big continuous space. It is the choice of local materials that provides the same harmony as you find in old villages where everything is constructed from what was accessible around the village. 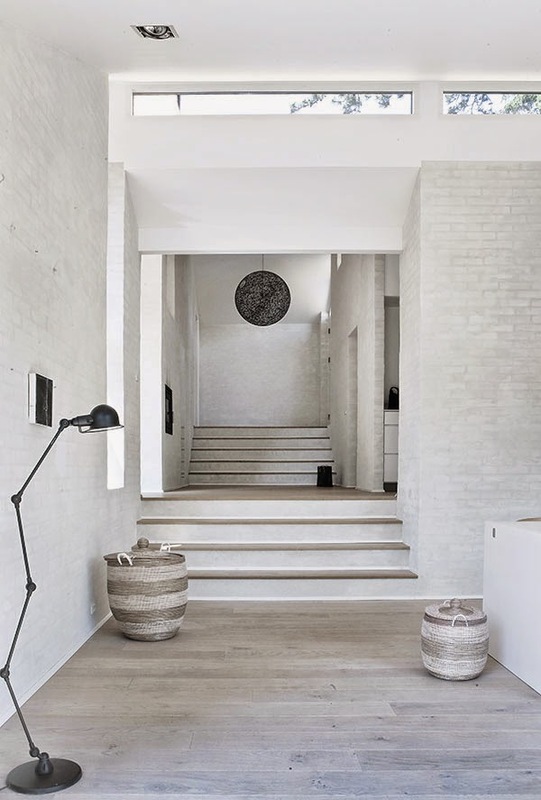 The use of natural materials, that had some imperfection gave the house an authentic aesthetic – like that of an aged and well treasured structure, which only becomes more beautiful as it decays. 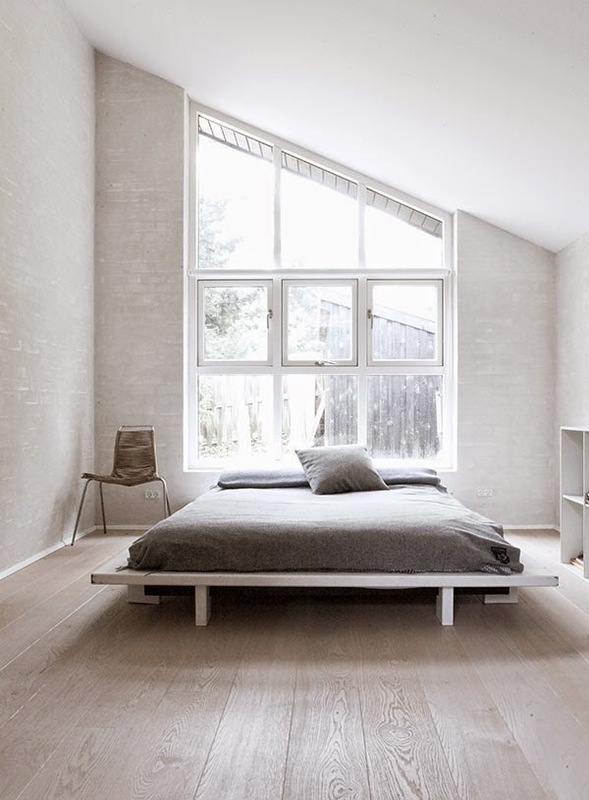 It that sense we were very much inspired by the Japanese thoughts on wabi-sabi when choosing materials. Another important issue when designing the house was to play with how the natural light would come into the house at different times of the day, and making it an integral part of shaping the architecture. So instead of just using regular formats for windows we played a lot with different formats to obtain certain effects when the light enters the house – giving each room its own character and certain feel.